I admire The Americans’ ability to make espionage look like a horrible job that’s also the sexiest career in the world. Glamorizing spycraft is no difficult task: Just listen to the James Bond scores of John Barry, which imply secret rendezvous, incredible gadgets, and clandestine hanky-panky even when they’re divorced from actual images of those scenarios. But Americans episodes like “Baggage” put the lie to the always exciting lives of 007, Emma Peel, and other fictional Cold War operatives. Elizabeth and Philip Jennings are trained killers with killer looks, but The Americans wants us to understand the people behind the spies. Sometimes that means showing Elizabeth—in practically the same hand-to-ear pose as last week, framed almost identically to the way she’s framed in “EST Men,” suggesting that she’s been doing this a lot—listening to a recording of her dying mother. Other times, it involves depictions of the Jennings acting as their own cleaning crew. As a title, “Baggage” is as literal as The Americans gets. We’re talking about the psychological tonnage carried by our favorite married spies, but we’re also talking about the suitcase that Elizabeth apparently rescued from the American Tourister gorilla cage in order to transport Annelise’s corpse out of that hotel room. This is not the alluring excess that decades of martini-swilling, bed-hopping secret agents have promised us. This is ugly, evil, trail-covering necessity, treated with some of the most punishing sound design I’ve ever encountered on TV. “Baggage” makes us feel the pain that Annelise can no longer feel in every stomach-churning crunch. You want proof of the great performances that are being delivered on this show? Just remember that there probably weren’t any broken-bone sound effects on set. But that’s just part of the job: Within the confines of what they do for a living, Stan, Elizabeth, Philip, and Oleg aren’t people—they’re assets. And as with that term’s financial connotation, those assets can be leveraged for personal, professional, or political gain, as Stan did to Nina at the end of season two. That gives Philip’s reluctance about Paige’s KGB future a mighty powerful impetus. As “Baggage” depicts Nina’s life in the labor camp and unfolds the sagas of Yousaf and Zinaida, it backgrounds the Paige storyline. But the notion remains in play: It’s the source of the Philip-Elizabeth fight that snakes its way through the episode, a wound to their marriage whose treatment they can’t agree upon. Symbolically, it’s that tooth that got busted during Elizabeth’s scuffle with the FBI. He wants it yanked out; she knows that’s unrealistic, because someone’s bound to notice if they do something that drastic. 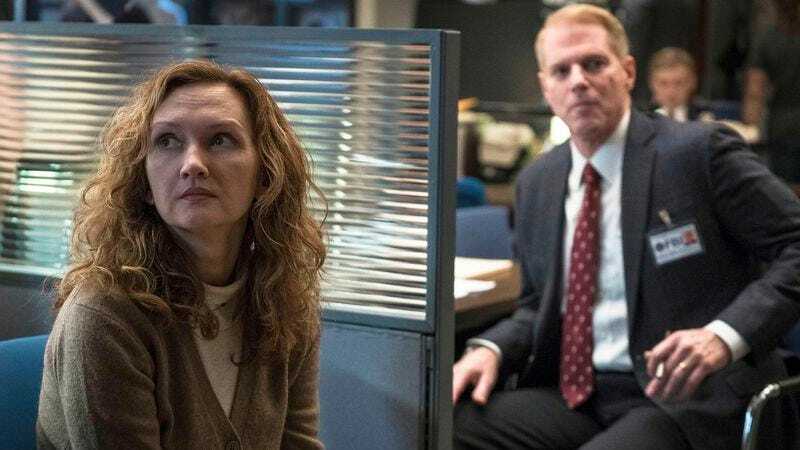 Propaganda is exactly what The Americans cuts through with an episode like “Baggage.” There’s probably no house, car, or 2.5 kids awaiting Paige and Henry because those things aren’t awaiting anyone in this world. (And if they are, it’s all fake: It’s the Americans Dream, in which mom’s a spy who knocked out an FBI boss, dad’s a spy preying on the emotional vulnerabilities and criminal activities of another spy, the cars are all borrowed from KGB contacts, and the house is full of secret cabinets.) And “Baggage” slices both ways, too: With his counterintelligence rival in his crosshairs, Oleg detonates the ideal of brave and noble FBI agent Stan Beeman. That version of Stan wouldn’t have killed Vlad in cold blood, and this version of Stan isn’t going to parachute into a Soviet labor camp, slay a bunch of commie bastards, and escape with Nina. 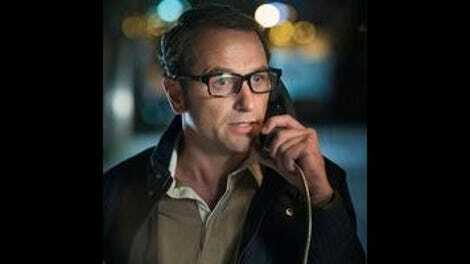 In “Baggage,” the action hero won’t free the prisoner, but a bureaucrat might just finish the job. This is the world that Philip Jennings would shield Paige and Henry from, the one he describes in details as graphic as “Baggage”’s Foley work: “I don’t want her putting people into a suitcase and I don’t want her ending up in a suitcase.” Unfortunately for him, a belief in the rightness of that type of work still has its hooks in his wife, who remembers her mother sharing the truth about her father (he was a traitor) and encouraging her to join Directorate S. “She didn’t blink—she told me to go and serve my country,” Elizabeth tells Philip at the end of “Baggage.” But what country would Paige even be serving? Not one she knows—and not even the country Elizabeth and Philip knew when they were sent to the United States. An episode that’s firmly on the unglamorous side of The Americans’ game of Spy Vs. Spy—no wonder Elizabeth’s so willing to jump into action when Yousaf meets with the CIA—“Baggage” finds the Jennings treating their oldest child like a bargaining chip, another person rendered into an object by her parents’ horrible, no good, very bad job. The Americans Soundtrack Report: Season Three, Week Two: N/A. No period-appropriate pop songs to be heard. To compensate, here’s the Magnum P.I. theme. Erik’s speculation corner: I don’t know about you, but it sure sounded to me like Yousaf, who’s now under Philip’s thumb, has a whole batch of CIA agents under his own thumb.